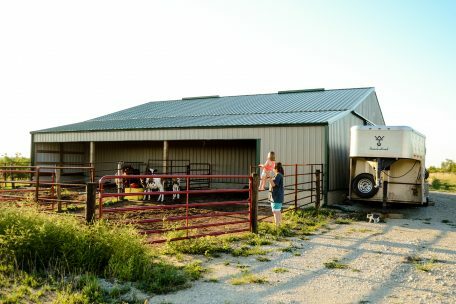 Seeking extra protection from the winds, this Astro owner loved working with their rep to find a unique solution for their calves. 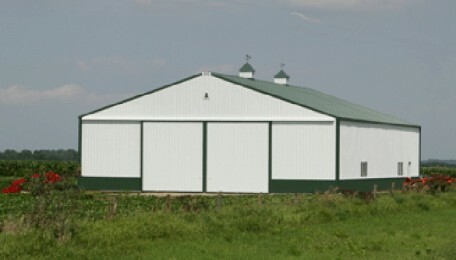 On the right under the overhang is a hidden entrance to the building where they can easily move feed & hay to their animals. 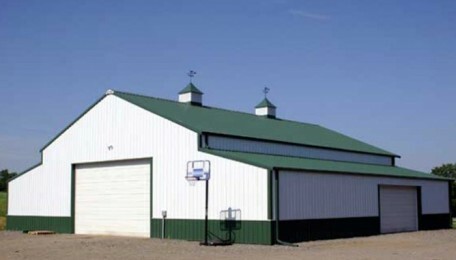 Sidelights were a great option for this farmer and horse owner. 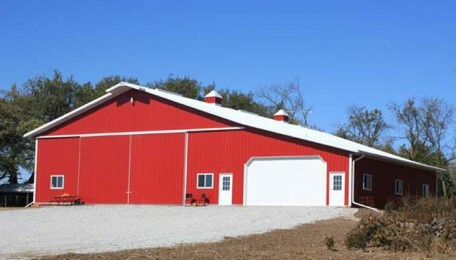 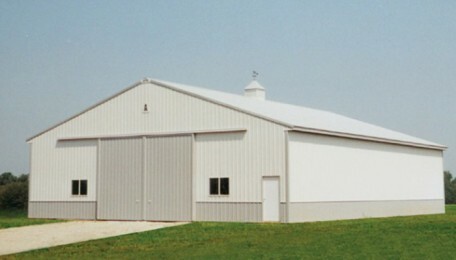 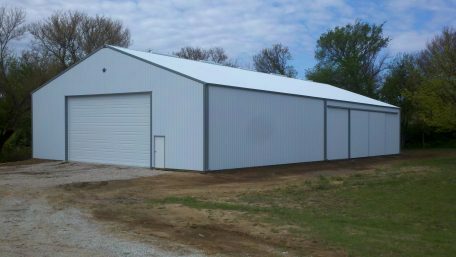 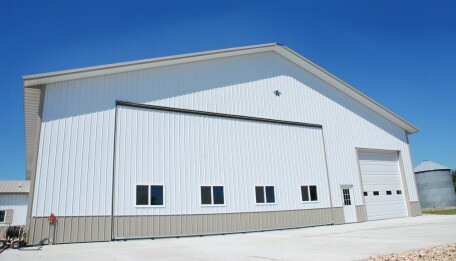 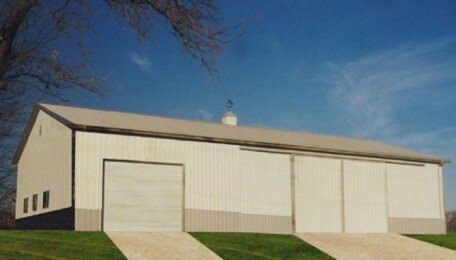 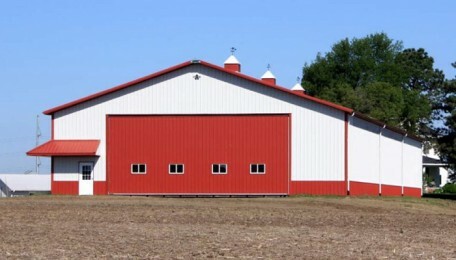 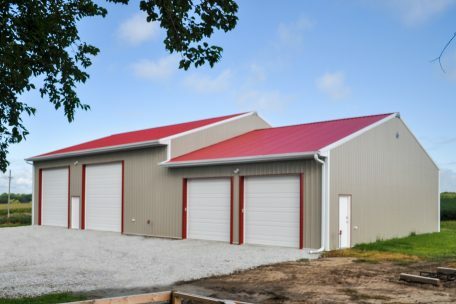 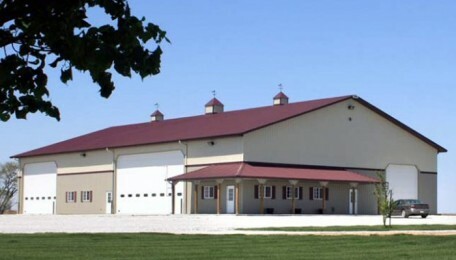 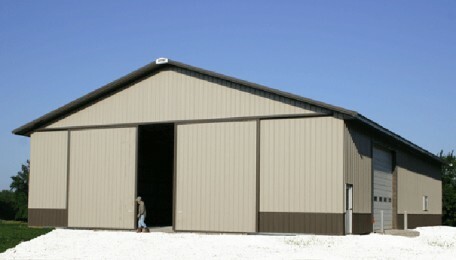 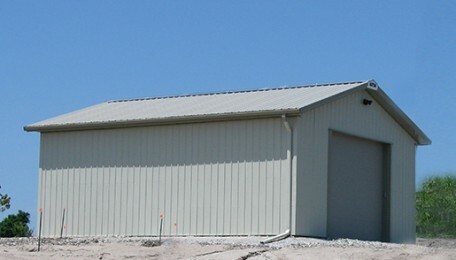 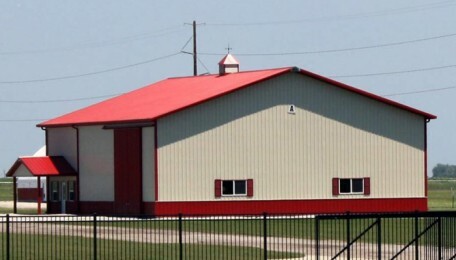 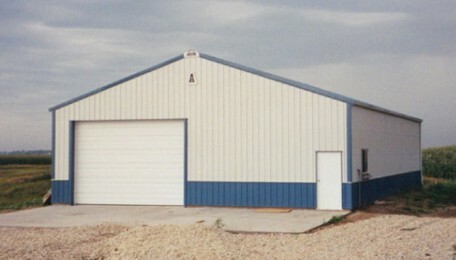 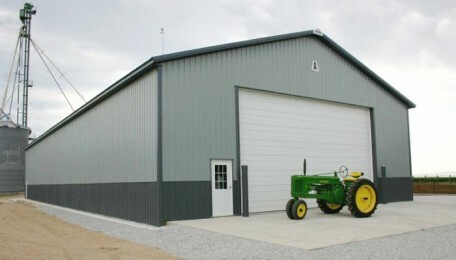 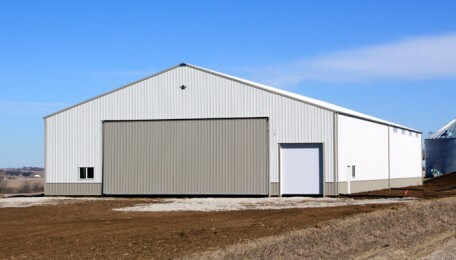 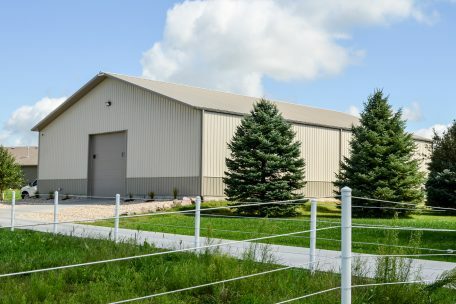 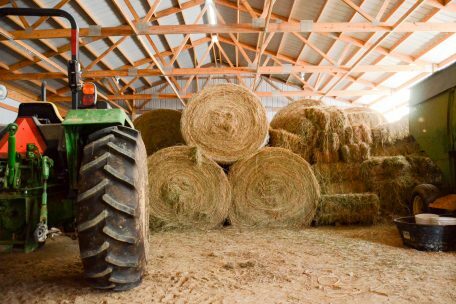 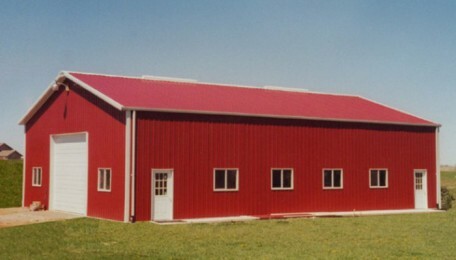 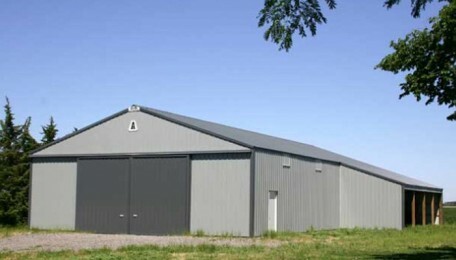 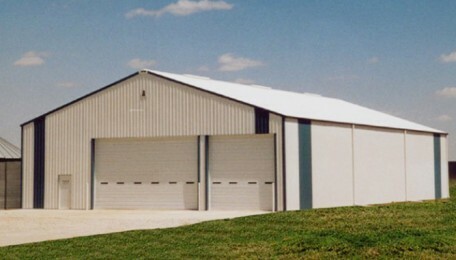 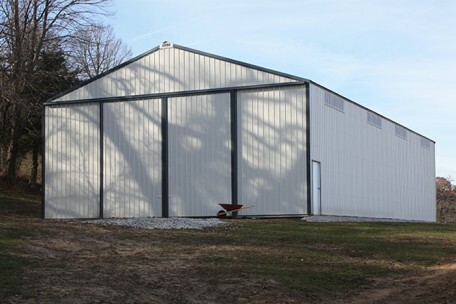 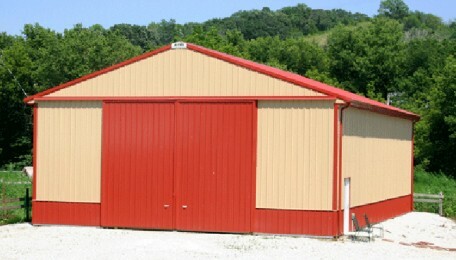 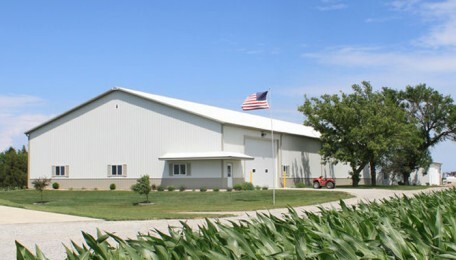 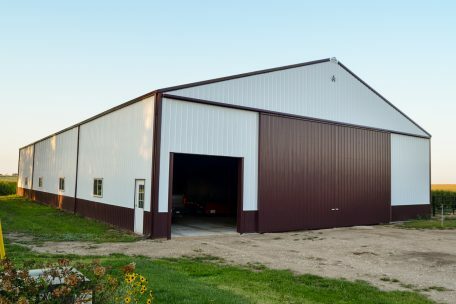 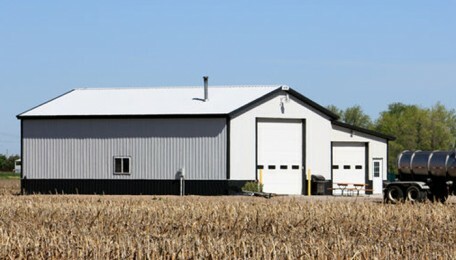 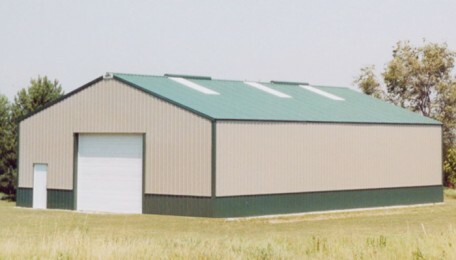 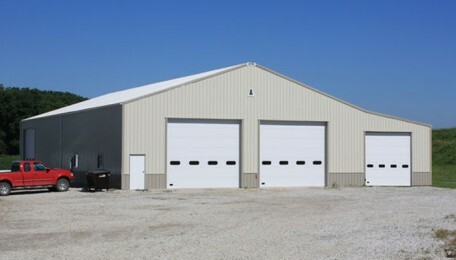 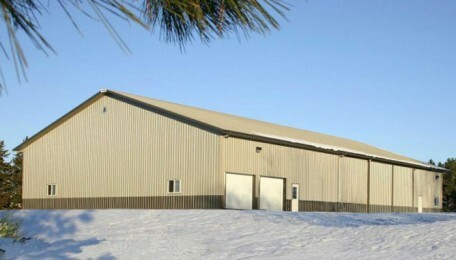 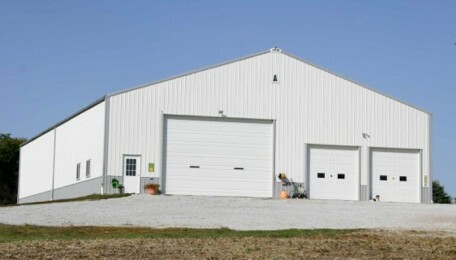 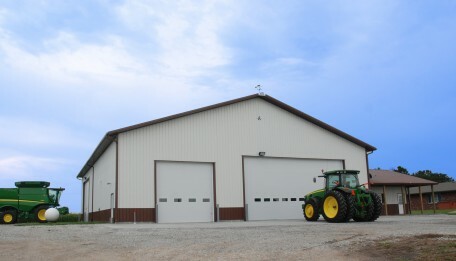 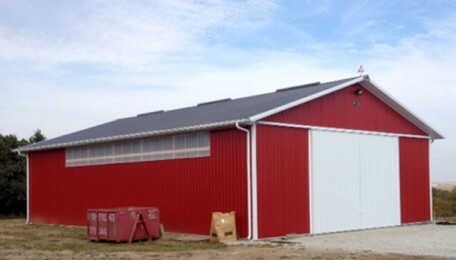 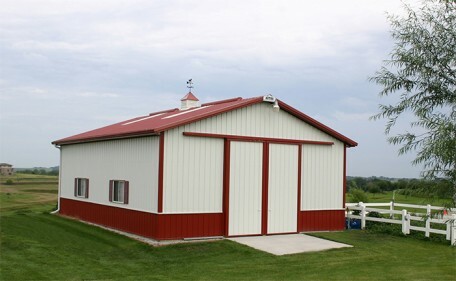 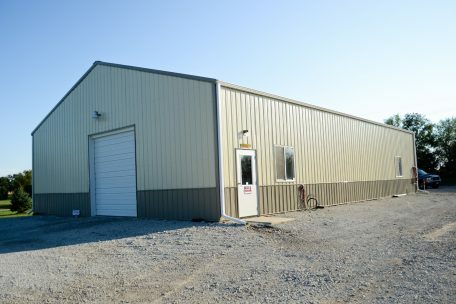 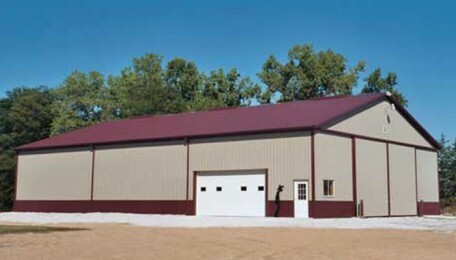 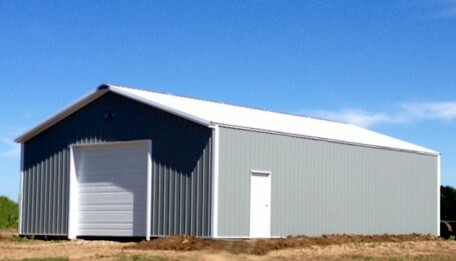 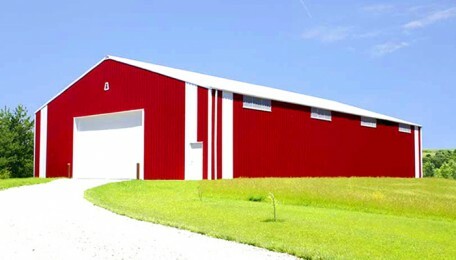 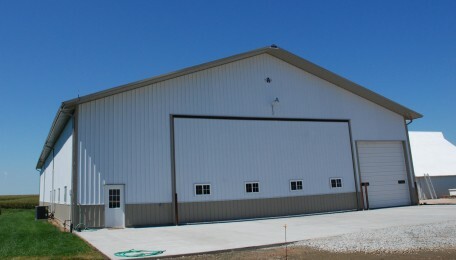 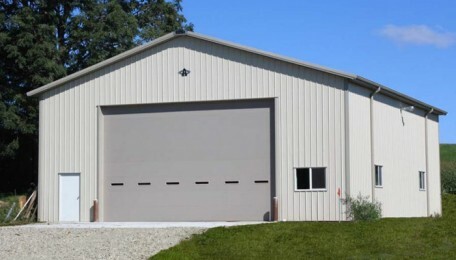 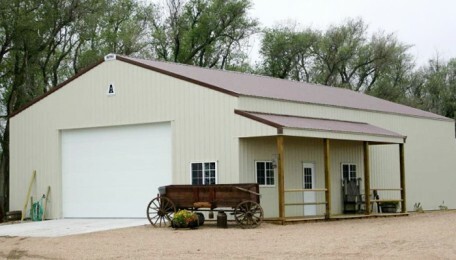 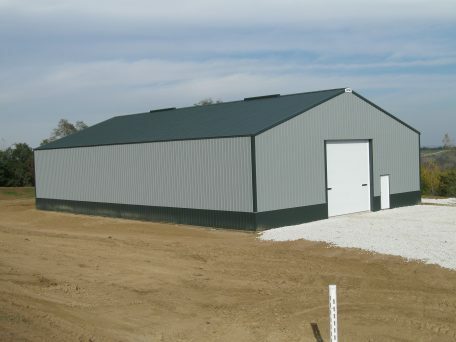 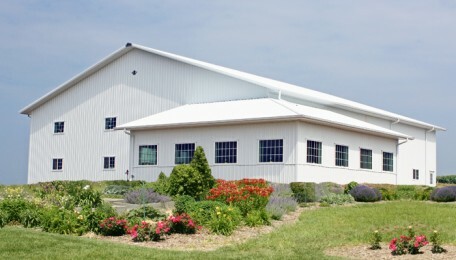 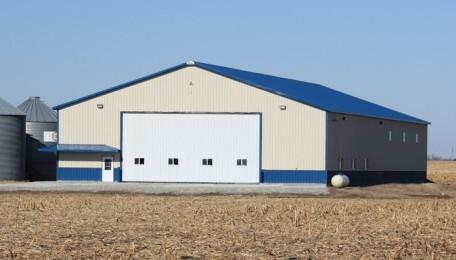 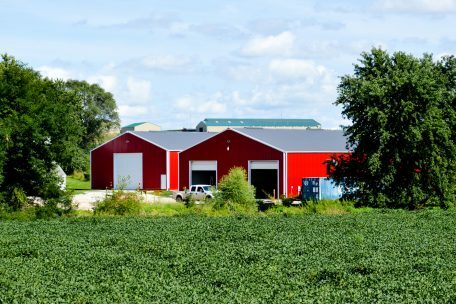 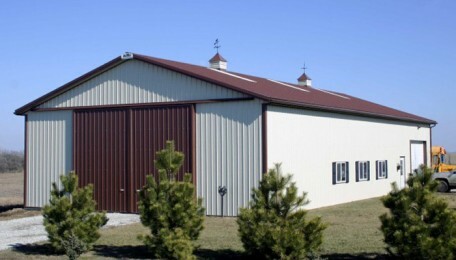 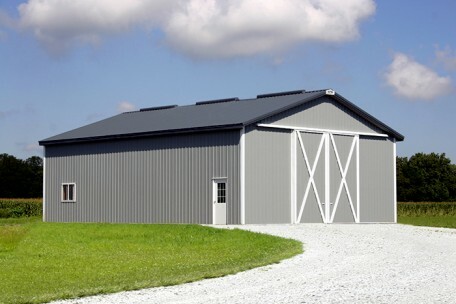 Featuring an open side garage and slider doors on this ag building.